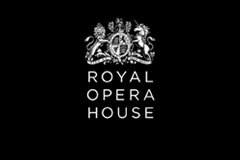 Becoming a Friend or Patron is the best way to keep up with the news and events at the Royal Opera House, as well as gaining advance access to booking tickets. Membership also makes an ideal gift for an art-loving friend or family member. Your support as a member underpins every aspect of the Royal Opera House's work – its achievements onstage, the commissioning of new work, development for talented emerging artists and craftspeople, and an extensive learning and participation programme. Make the most of your donation. Our Friends receive advance booking information for all performances and events that take place at the Royal Opera House, including education and family activities, through our award-winning quarterly magazine and via regular email updates. There are several levels of Friends' membership to select from. Our Patrons have the highest level of priority, access to a private Patrons' Box Office, a private Patrons' dining booking coordinator, and receive invitations to special events throughout the Season. With several levels of Patron membership available, you can select your preferred involvement and flexibility. The American Friends of Covent Garden is a New York-based non-profit organization that supports the work of the Royal Opera House in the UK and in the USA.